Come & Learn the 4 Powerful strategies of the 21st Century to uplift your business & increasing your profits by more than 200%! COLLABORATE, COMPLEMENT, OUTSOURCE & RESOURCE. 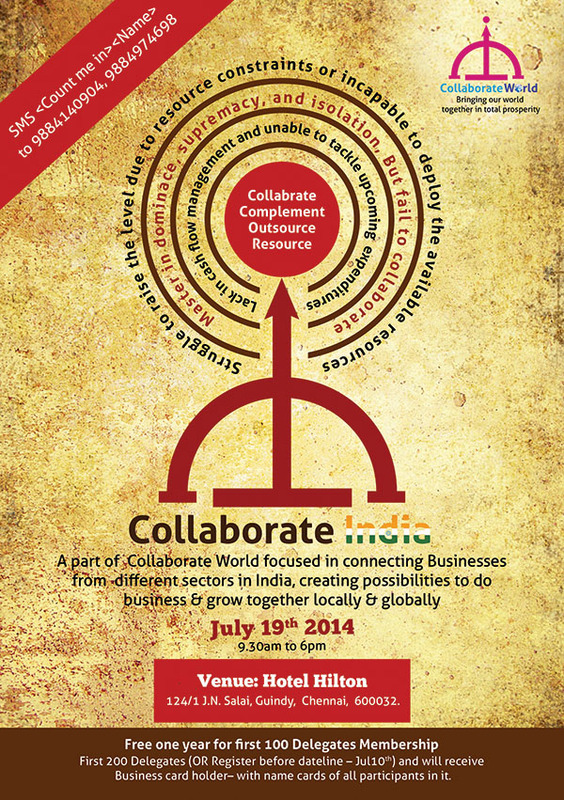 First of its kind event, Launch of Collaborate India!